Since early February, we have had two corrections in the stock markets. The first was quickly recovered in yet another V-shaped bounce. And we are in the process of basing from the second one that brought us back to the early February lows. My question now becomes which stocks will lead up. In this headline-ridden investment environment, I am certain of a few things. Banks are cheap is an absolute statement that I can make today. 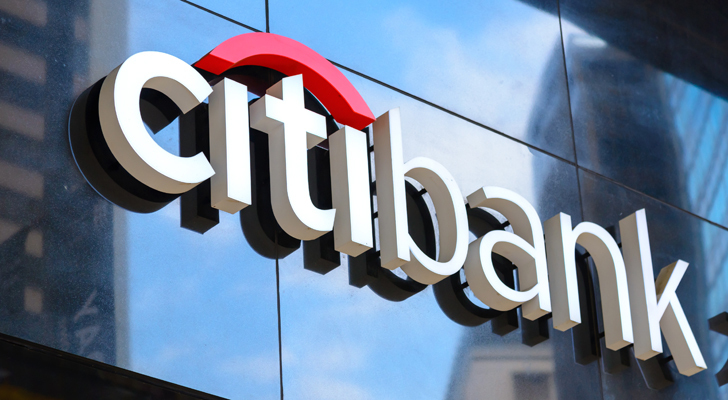 Citigroup Inc (NYSE:C) stock sells at a price-to-earnings ratio of 12 and that is cheap in absolute terms. This is also true relatively to other bank stocks like Bank of America Corp (NYSE:BAC). In addition, C sells at a price-to-book below 1. So Wall Street doesn’t currently account for the company’s intrinsic value into the stock price. And therein lies my opportunity. I want to create income from Citi stock without any out-of-pocket expense. This is made even more potentially profitable by having elevated levels of the CBOE Volatility Index. President Donald Trump has become an enemy of the stocks through his antagonistic tweets. But the so called Trump Trade is still in effect. The new tax laws are set and they will result in better company bottom lines, and U.S. consumers do have more money in their pockets to spend. Any headlines that threaten the short term health of stocks is temporary. Fundamentally, C stock is as healthy as it can be. They have the strongest balance sheet in decades. Regulation is getting looser and we are in a rising rate environment. All of this makes for a favorable operating economic venue for banks to prosper. I chose C stock over, say, Goldman Sachs Group Inc (NYSE:GS) because they tend to be less in the headlines, which makes my risk less volatile. In my style of trading: Boring is beautiful. Technically, Citigroup stock fell 15% from the February highs. At which time investment expert opinions had it headed for $100 per share or higher. So it’s a matter of time before those same experts get back on the C band wagon. Click to Enlarge Finding proper support levels is most important to my trade. I see several layers of support for C stock, so I will go out in time far enough into the fall season that I can hide below at least two levels of immediate support. While I don’t know what the equity markets will do, I do know that if I have the opportunity to own C shares at 17% discount from these already low levels, I will profit in the long run. Worst-case scenario for my trade is that I will have this opportunity. The Trade: Sell the C SEP $55 naked put and collect $1 to open. Here I have a 85% theoretical chance that I would retain maximum gains. But if the price falls below my strike then I own the shares and would suffer losses below $54. The Alternate Trade: Sell the C SEP $57.50/$55 credit put spread, where I have about the same odds of winning but with much smaller risk. Yet the spread would yield 15% if successful. Article printed from InvestorPlace Media, https://investorplace.com/2018/04/quality-stocks-like-citigroup-inc-will-be-higher-soon-go-long-now-and-for-free/.